The Kitchen is simple but adequate. 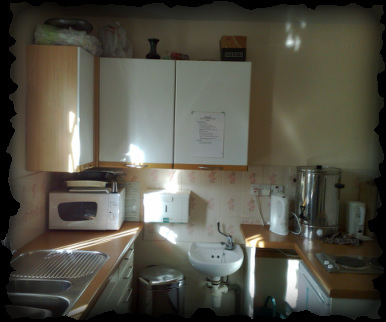 All necessities are available: refrigerator, hob, oven, microwave, urn, pots and pans, and also crockery, cutlery and glassware. for the duration of the hire of the main room, and the charge depends on whether or not food is being processed. If food is not being cooked or heated then there is no charge. 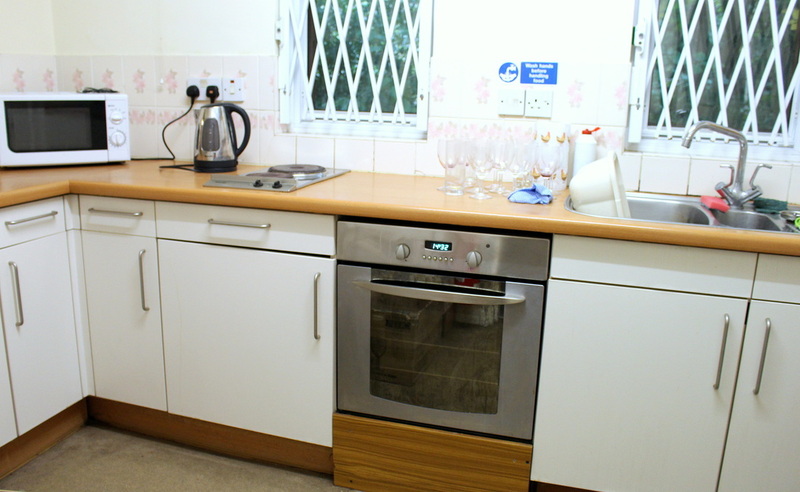 The Hire of the Kitchen when cooking food and using the oven will incur a charge.